Flights of Fancy was a group exhibition in the form of a screening at Bablyon Kino, Mitte, Berlin. The works in the show were curated to mark the closing of Berlin's Tegel Airport. 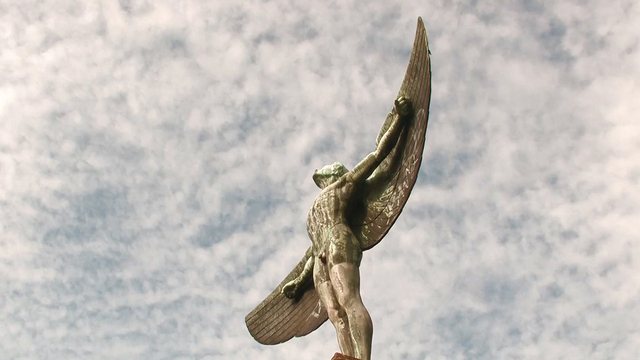 We made a new work for the screening, entitled "Otto" which looked at the two full length statues of Otto Lilienthal in Berlin - one at Tegel Airport and the other at a park in Steglitz.